It is difficult to find inspirational leadership in South African society today, which is why politicians lean so heavily on the heroes of yesteryear. This country produced a legion of liberation heroes, whose understanding of society, values and sense of self-sacrifice are wholly absent in the generations that succeeded them. The memory of the anti-Apartheid giants are used, and sometimes abused, in political campaigning, mostly because current leaders have so little to offer. In order to address South Africa’s leadership crisis, society needs to look beyond politics and find role models who stand up to corruption, greed and violence. They do exist and one such South African was beatified this weekend. By RANJENI MUNUSAMY. Last week, there has been break from South Africa’s negative news cycle with the announcement of the discovery of a new hominid species, Homo Naledi, at the Cradle of Humankind and the beatification of Tshimangadzo Benedict Daswa at Tshitanini in Limpopo. Both events saw South Africa feature in news reports across the globe, refreshingly not in relation to xenophobic violence and killings or another astonishing corruption scandal such as the mysterious $10 million payment in relation to the 2010 Soccer World Cup. 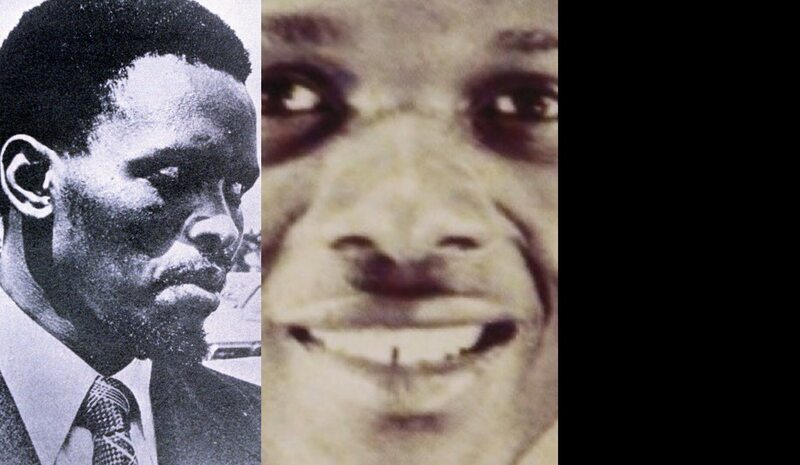 Daswa’s beatification by the Catholic Church is significant not only because he is the first person in Southern Africa to become a blessed martyr, but also the circumstances under which he was killed 25 years ago continues to be an inherent problem in our society. The practice of witchcraft and ritual killings, and superstitious beliefs in communities are difficult societal issues and not often acknowledged. This was a rare occasion where the Catholic Church, often criticised for being out of touch with modern society, venerated a layperson but also provided the opportunity to confront the prevalence of violence and intolerance both in the country and globally. Pope Francis recognised Daswa’s courage in his Angelus address at the Vatican on Sunday. He also remembered all those who, like the South African martyr, are persecuted for their faith. Cardinal Angelo Amato, who presided over the beatification ceremony in rural Limpopo, said Daswa “gave witness to his faith with his blood” and demonstrated “for reasons of conscience” his opposition to the practice of witchcraft. Speaking at the event, Deputy President Cyril Ramaphosa said it was a day of “mixed emotions and thoughts”. He said Daswa died because of his outspoken rejection of witchcraft and witch-hunts and people should take a leaf out of his life. “Ritual killings, witch hunts and witchcraft do not define us as South Africans. They make us sub human. We are human beings and must respect the lives of other human beings,” Ramaphosa said. “And may this also be a day when we renew our commitment to building a society free of ignorance, intolerance and violence.” Ramaphosa said the beatification should also open a dialogue about why ritual killings continue “in a peaceful country like South Africa”. Unfortunately Maimane’s next tweet, featuring a picture of him looking at a poster of Biko, read: “Never, never & never again shall it be that this beautiful land will again experience the oppression of 1 by another.” This was in fact a quote from Nelson Mandela at his inauguration in 1994. While Maimane may have visited the cell out of respect, it could not have escaped him that the DA’s policies are in conflict with what Biko espoused. But Maimane could not have left the anniversary unacknowledged considering how the Economic Freedom Fighters (EFF) had taken ownership of it. The Eastern Cape, from where Biko hails, is a major battleground in next year’s local government elections. EFF leader Julius Malema addressed a rally in honour of Biko in King Williams Town and visited his grave along with his widow, Ntsiki Biko. All three parties were keen to use the anniversary of Biko’s death as part of their campaigning, and massage his ideas for their own purposes. It is ironic that the police brutality that led to Biko’s death, and which is an issue the country is grappling with, was not a central theme to mark the anniversary. Moral relativism is common when marking the lives and deaths of South Africa’s heroic leaders. From Chris Hani to Nelson Mandela, novel interpretations are given to their words and actions, and people are known to even extrapolate how they would have reacted to current issues such as the turmoil in Cosatu and the Nkandla security upgrades. Political leaders clutch at their legacies because they have so little to offer of their own. Past generations of prominent South Africans rose to greatness in their time but cannot be expected to hold all the answers about to resolve the country’s current dilemmas and leadership vacuum. Many of their words, actions and beliefs give direction and inspiration to future generations, but they are not political blueprints. These need to serve as the platform for dialogue and give guidance on the society they had envisaged. Whether it is science, politics or religion, there are lessons in our past but our future is dependent on how these are interpreted and built on. South Africa’s Apartheid and liberation history remains defining to the state of the nation now but the country needs new leaders in all sectors to lead us out of the morass and re-imagine the future. There was nothing really exceptional about the South African man that was beatified on Sunday. Daswa was an ordinary schoolteacher, father and Christian. What set him on the road to sainthood was his defiance of an evil practice in his community. Like Biko, the other man whose life and violent death was being marked this weekend, he spoke out against something that is inherently wrong. In so many ways, South Africa is a better country than it was when Daswa met his end and a world away from the time of Biko’s suffering and tragic death. And yet, moral relativism clouds our collective thoughts. The leadership vacuum darkens our horizon. There is so much that is inherently wrong around us, from xenophobia to corruption to sexual violence, child abuse, leadership failures and the erosion of the moral fibre of our society. The leaders of today need not suffer as those of yesteryear did to be celebrated, their words heard and moral guidance followed. But they need to raise their voice for good and trade their comforts for what they believe. They need to be able to tell wrong from right. Photo: Steve Biko and Tshimangadzo Benedict Daswa.